Over the past decade, we have connected ourselves through devices that have eliminated borders and democratized information. For investors and those seeking financial advice, advanced data analytics, lower costs and convenience are the most important advantages of technology-driven solutions. For our clients, our Wealth Management System (“WMS”) is an engaging, collaborative tool which seeks to prove an enhanced experience. The system can be thought of as a single platform where all aspects of your income, expenses, assets and liabilities integrated into real-time personal financial planning. Personal - The client portal is deeply customizable and will allow for an entirely personal experience. Mobile - While the more robust features are best utilized via computer, the tool is accessible with your tablet, iPhone or Android Device. Cash Flow + Integrated Financial Planning - One look at the dashboard and you have a clear view of your income, expenses and savings. A living, breathing, integrated financial plan updated in real-time. 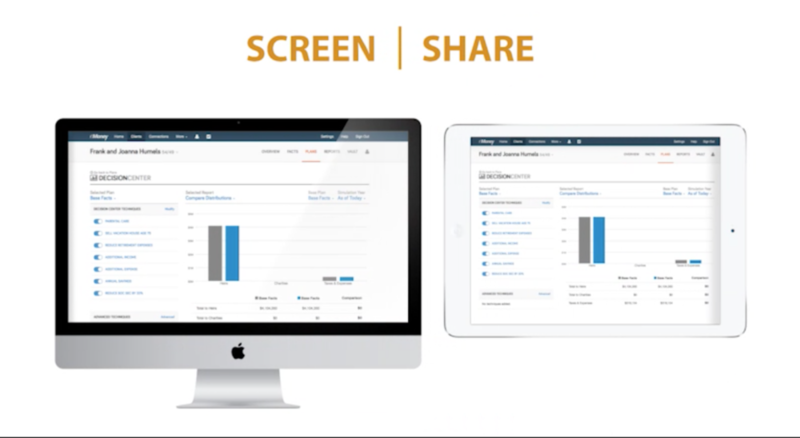 Real-Time Aggregation - Consolidates everything you own or owe, updated daily. This includes portfolio assets with our firm, other investment or bank accounts…and even your company 401(k) plan and stock options. Many clients also appreciate the ability to link their liabilities such as mortgages, credit cards, personal and student loans. Advanced Planning + Decision Center - We’ve integrated tools to consider a variety of retirement alternatives, comparing the impact of college expenses on your other goals…and the ability to model, with visual results, any imaginable scenario. The most common considerations include the sale of a business, alternative stock option or charitable giving strategies, the purchase (or sale) or real property and social security or pension tactics. Digital Vault - Securely store your important financial documents, accessible anywhere. Many clients use their vault to maintain insurance information, store estate planning documents, as a convenient way to access passports or other critical information and even audio files. Collaboration - Our technology enhances your relationship with your personal financial planner and investment adviser. Whether you are merely exchanging information in a secure environment or utilizing our screen sharing capabilities to your financial plan, the WMS is an invaluable component of our financial planning efforts. The Wealth Management System can be the foundation of your objective financial planning and independent investment advisory relationship. To learn more about our financial planning services or for a guided tour of the wealth management system, please click the link below to schedule an appointment.